Movie Ramble: Daughters of Darkness. Referred to as psychological high gothic, Daughters of Darkness (1971) is a Belgian horror film with English dialogue that has, like many other films, gained a cult status over the years and is still shown as part of late night movie programmes. Directed by Antwerp born Harry Kumel, this sophisticated lesbian vampire movie stars Delphine Seyrig who elegance on screen is matched by very few actresses. The newly weds telephone Stefans 'mother'. Daughters takes its inspiration from the legend of Hungarian countess Elisabeth de Bathory who is alleged to have been the most prolific female serial killer in history. Known as the Blood Countess, she was accused of torturing and killing over 650 girls though the number she was convicted of was only 80! Said to have bathed in the blood of virgins to retain her youth she was subsequently bricked up in a set of rooms where four years later, in 1614, she died. ..... along with her young assistant. A recently married young couple book into the luxurious Grand Hotel des Thames in Ostend. Valerie (Danielle Quimet) is young and beautiful but a little naïve where as Stefan (John Karlen) we learn has sadistic tendencies, and strangely when he rings his mother in England to inform her off his marriage we discover that he is talking to a rather effeminate male! 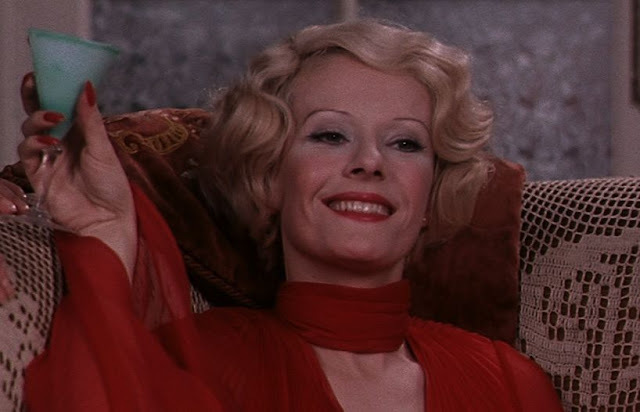 Joining them at the deserted hotel is the mysterious Countess Elizabeth Bathory (Seyrig) who is accompanied by her voluptuous young female assistant Ilona Harczy (Andrea Rau). The Countess immediately forms an attraction to the young couple and as night falls events take a turn for the bizarre. Becoming ever closer to the young couple!!!! There is no hiding the fact that this is a visually stylish movie. We may not get a blood bath involving 650 virgins but what we do get is an erotically charged example of European horror at its best, superbly filmed it manages to highlight the decedent grandeur of its main location. 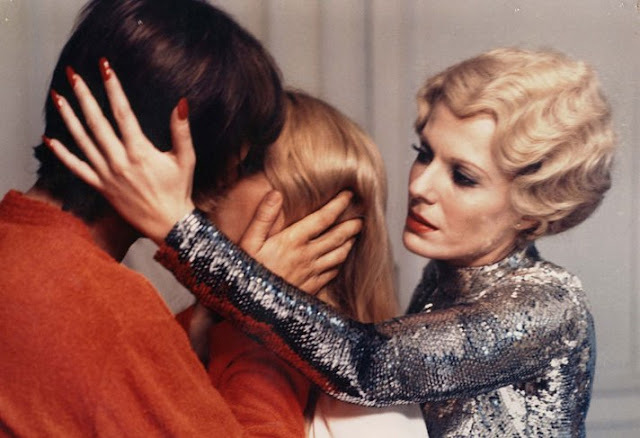 A fascinating atmospheric film that really holds your attention with Delphine Seyrig stealing ever scene she’s in and I for one was unable to take my eyes of her.